Need a limo service for proms, weddings, graduations, anniversaries or your corporate events in Sydney? Limoso offers professional car hires and airport transfers in Sydney. We have a wide variety of transportation options including sedans, luxury town cars, people movers, stretch limousines, and luxury buses. We have car services in Sydney for any and every travel need. We offer premium limo services throughout the New South Wales and the Sydney area, including: Newcastle, Central Coast, Katoomba, Wollongong, Browal and more. Limoso offers drops-offs and pickups all over Sydney including Sydney Harbour, Sydney Opera House, The Rocks, Kings Cross, Toranga Zoo, Bondi Beach, and Sydney Olympic Park. Airport transfers are offered to Sydney Airport/Kingsford Smith Airport, the world’s oldest internal airport and the busiest airport in Australia. With so many passengers traveling through Sydney Airport, your best bet for a transfer is a professional chauffeured car hire. 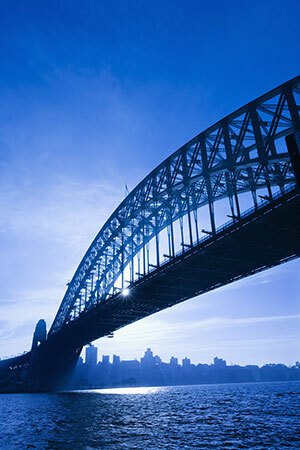 We can transfer you to and from Sydney Airport to all local hotels. But do not just take our word for it – view our testimonials page today and see what previous clients have to say about our limo hires in Sydney. Ready to book your Sydney limousine? Get started with our simple online reservation portal now! Limoso also provides limo hires to Melbourne, as well as airport transfers and car hires to Brisbane and Gold Coast.